“My colleague did the EMBA degree a couple of years ago, and the thought arose when we chatted about how I could develop myself. We also talked about the option with my employer, deciding I should embark on the studies. My employer shares the cost. I picked the right program carefully: I shortlisted and compared accredited EMBA programs. The Aalto EE program seemed the best. The studies have been really interesting. I’ve learned a lot and met interesting people. Sometimes studying while working is tough and has taken up a fair share of time at the weekends. There’s no need for extra hobbies when you work on pre-assignments, final assignments, read through materials in advance – and attend sessions of course. The strategy module was one of the most interesting and rewarding, giving plenty of food for thought." I’m Head of Service Operations at Elisa, and have worked in a range of positions at Elisa before. 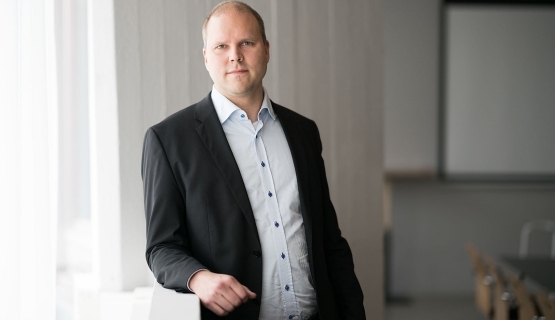 When I began on the Aalto EMBA program, I was eager to deepen my skills in financial administration, strategy, and different areas of management. The strategy module was one of the most interesting and rewarding, giving plenty of food for thought. Each module has taught something I’ve been able to apply at work right away. The module on HR issues, for instance, explored change at work and competence development a great deal. How to ensure systematic competence development is one of my areas of focus also at work.